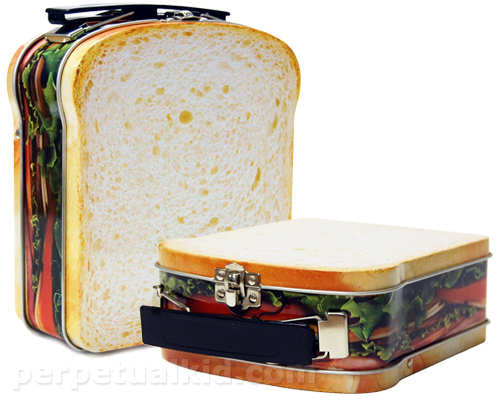 Collection of "Stylish Lunchboxes and Cool Lunchbox Designs" from all over the world. 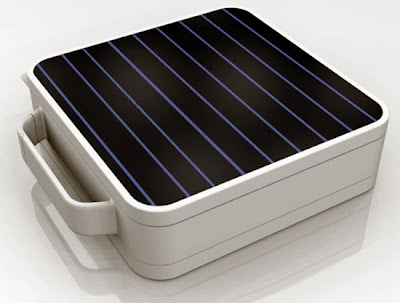 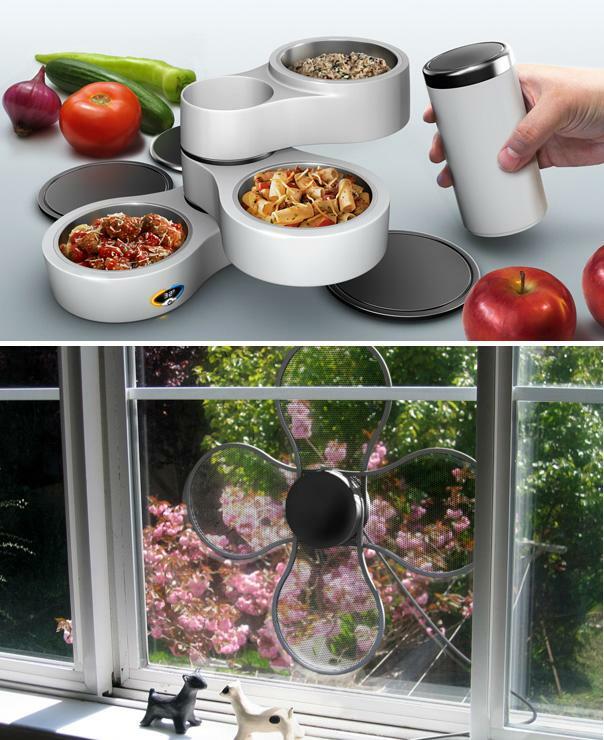 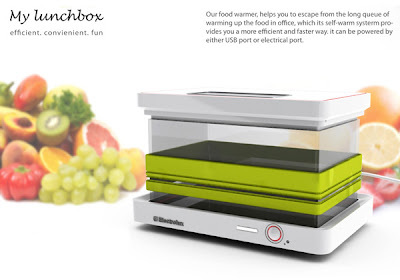 Thanko USB Lunchbox: This USB-powered lunchbox comes with an integrated heater that warms your meal when connected to notebook. 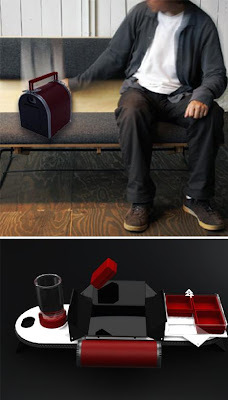 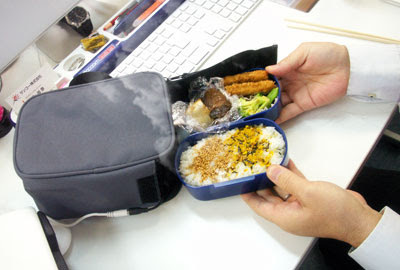 Transformer Lunchbox: This cool lunchbox transforms into a personal dining tray. 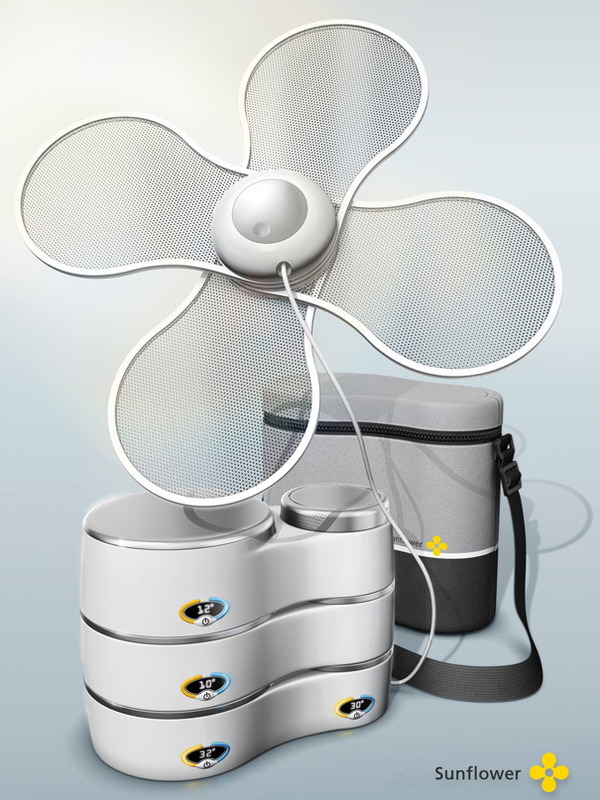 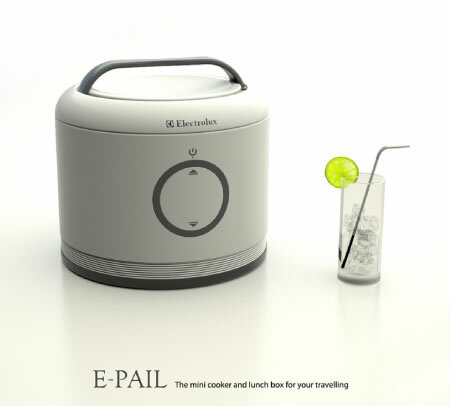 E-Pail: Electrolux's E-Pail is a mini cooker and lunchbox. 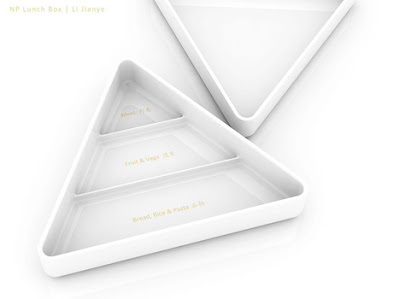 Lunchbox by Li Jianye: This lunchbox categorizes your lunch according to the food groups for a healthier lifestyle through a balanced diet. 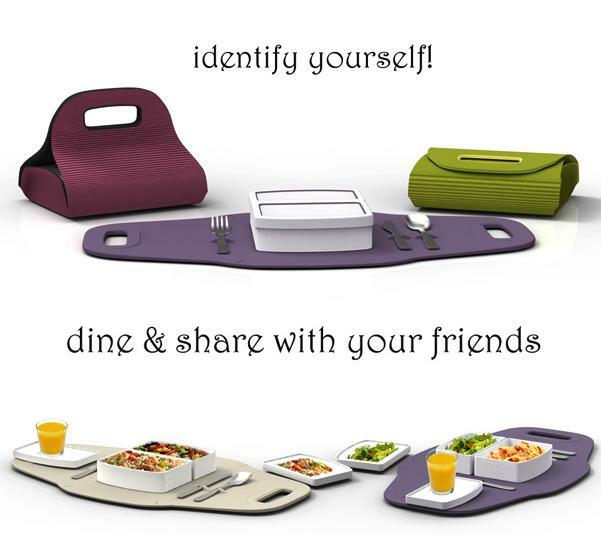 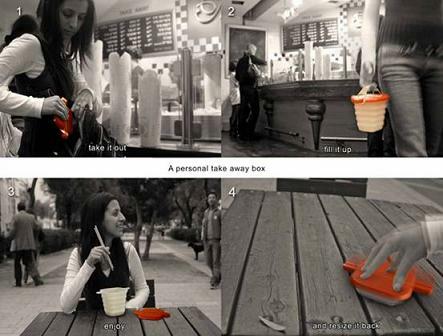 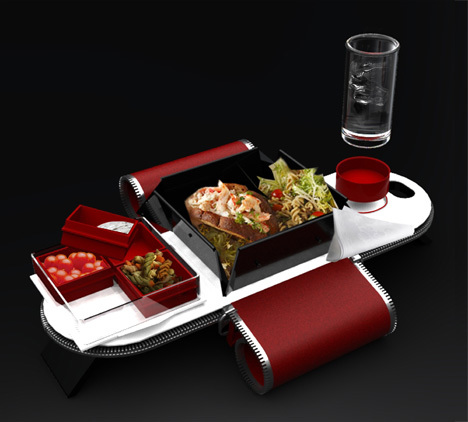 Dine Away Lunchbox: The dine away is a lunchbox concept by designer Khatija Aslam; it has got everything planned, right from the flatware to the mats. 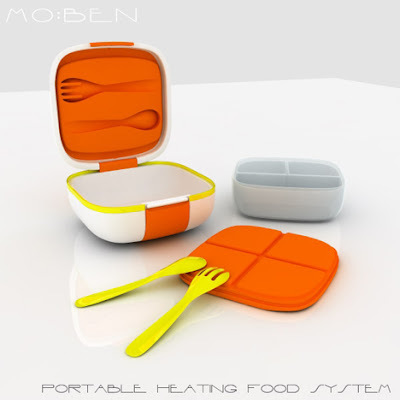 It allows you to pack in food and eat at your own comfort. 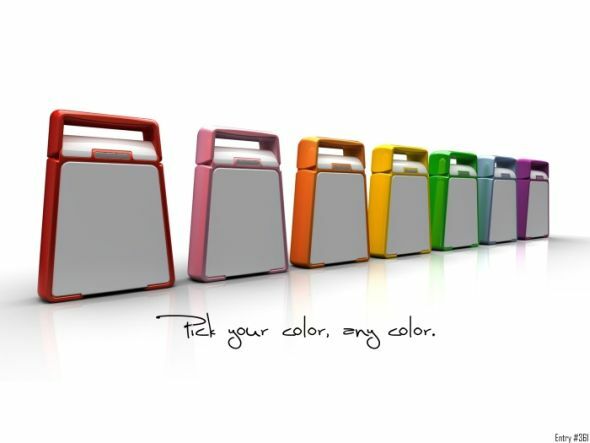 Marker Board Lunchbox: It's a concept lunchbox that comes with space on the cover of the box on both sides, that can be used as a message board to write messages or however you deem perfect. 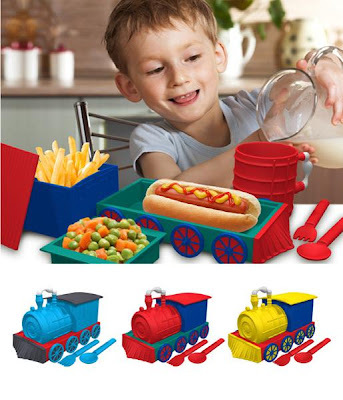 Train Lunchbox: This lunchbox comes in the shape of a locomotive and can be separated into a glass, a plate with wheels, and two differently shaped and colored containers, with enough space for the whole meal. 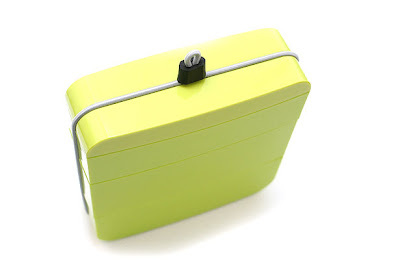 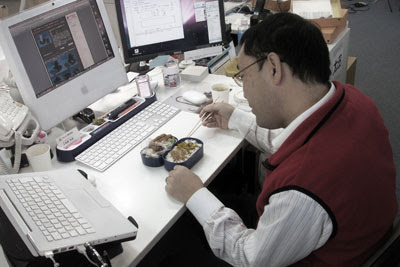 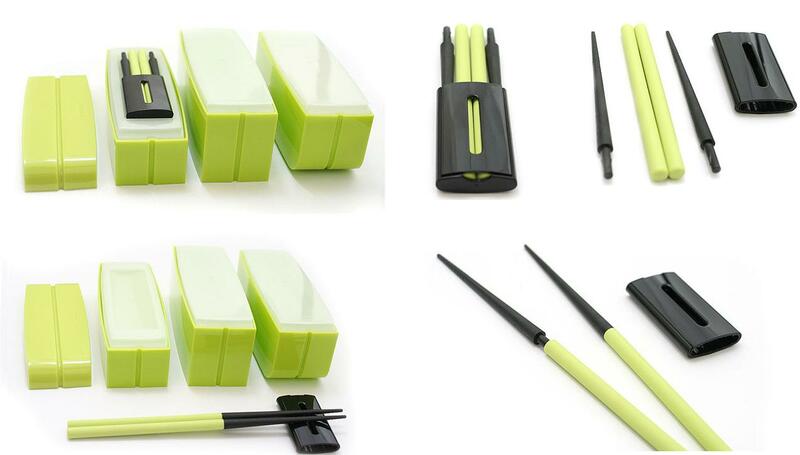 Ojue Lunchbox: Its designed by a Japanese product design company, and comes with chopsticks. 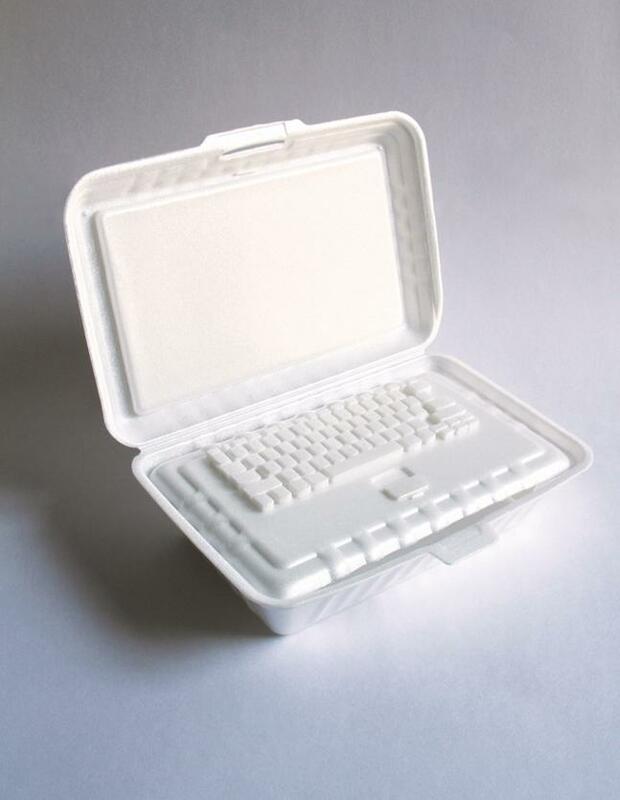 Notebook Lunchbox: It's not a reusable lunchbox; the second cover of the lunchbox looks similar to a keyboard, while the first cover creates an impression of a notebook screen.